Happy four twenty...one. 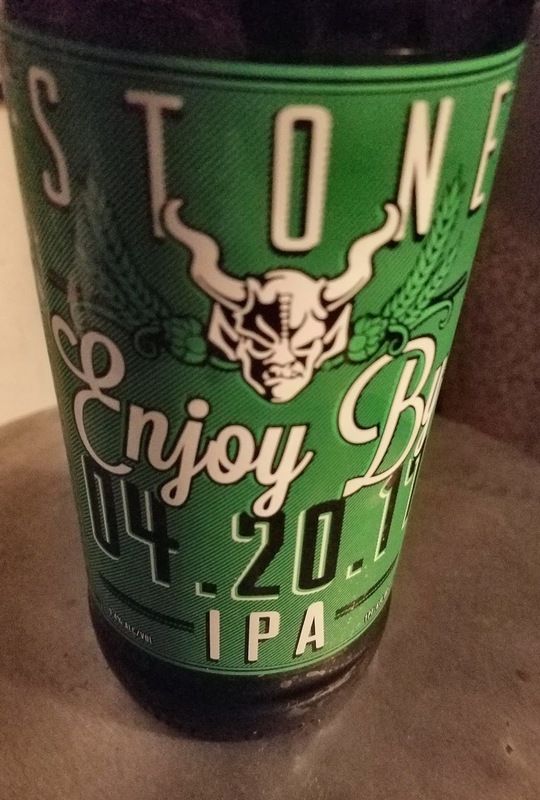 Enjoy By 04.20.17 and I drank this on 04.21.17. Complete failure, this beer is ruined. This "devastatingly fresh double IPA" had completely tipped over in a day. With all of Stone's prowess and resources I was amazed they couldn't get a beer this loaded with hops and alcohol last 24 hours longer. I'm speculating of course, I couldn't possibly know how much better this beer would have been if I drank it yesterday. Yesterday, this beer was the stuff dreams are made of. Today, well, it's just another over cellared beer past its prime. A beer held on to for too long by a well meaning, but distracted and forgetful wannabe beer connoisseur.